I’d called off the search for the city’s finest Indian places, both in Morningside and the rest of the city, firstly with the joyous meal I’d had at The Gurkha and then with the news of Mumbai Mansion’s arrival, with Pramod Nawani at the helm. However, I did find myself in the upper Bruntsfield/lower Morningside neighbourhood in need of a feed, so stopped by Himalaya to give it a go. At past 10pm on a school night, it was both pleasing and intriguing to see the please more than half full. My very good waiter showed me to a table a brought a menu, returning promptly to take a drink order before leaving me to assess things. The interior was pretty standard and the same can be said for the menu. It covered all the usual bases, so I reverted to classic dishes starting with prawn puri then following with an Afghan palok gosht. I added some daal and one of their famous mainsail naans. The puri arrived almost instantly and looked simple but tasty. 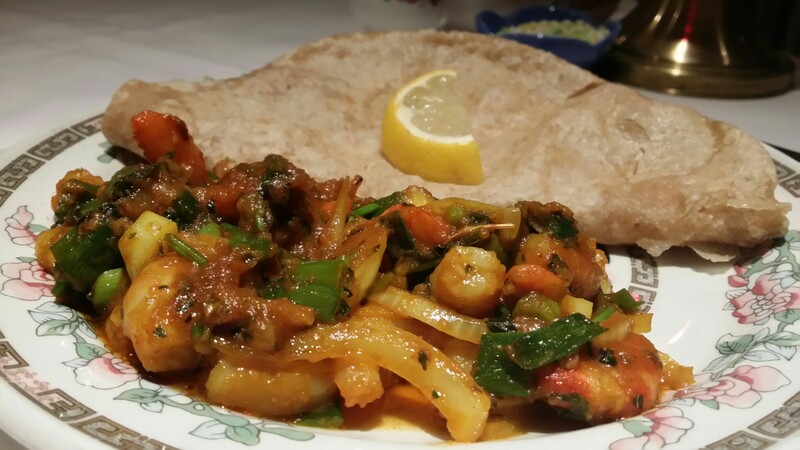 It lived up to this impression with really good prawns in a simply spiced sauce accompanied by good puffed bread. I was pleased with it. 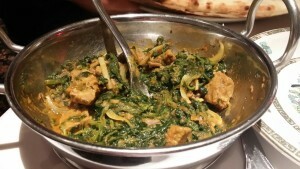 The main course lamb and spinach was tasty but the real fun and games were with the naan and daal. The naan was indeed easily big enough to be billowed by a forceful breeze and the daal was just great. 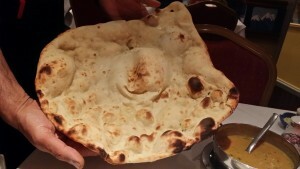 What’s more the naan looked like the Millennium Falcon, much in the same way as the kimchi pancake at Sodaeng did. 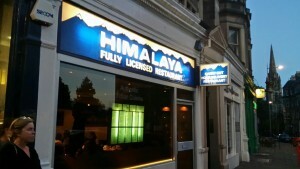 So overall, I really enjoyed my visit to Himalaya. It served me two very good courses, featuring some memorable items. I’d be happy to return and would recommend you pay it a visit.